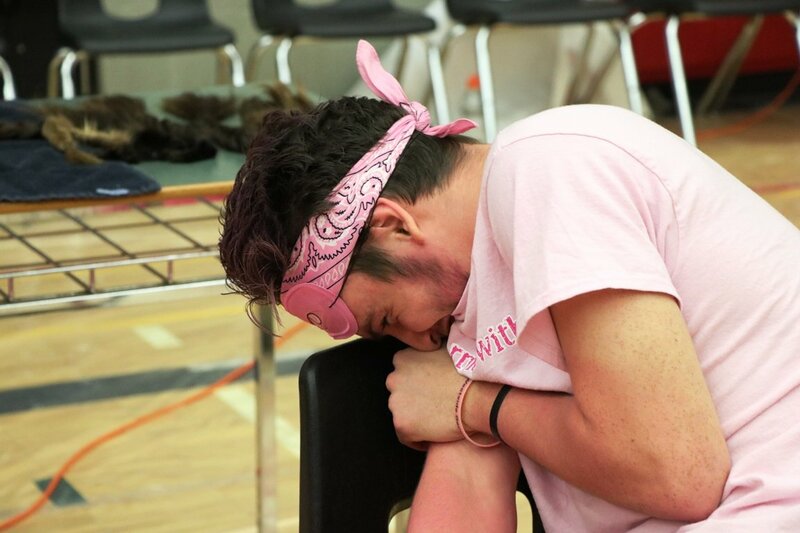 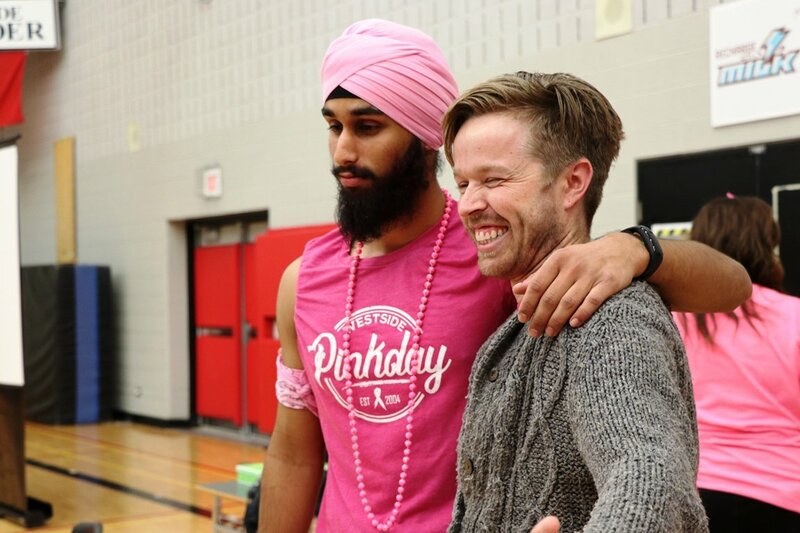 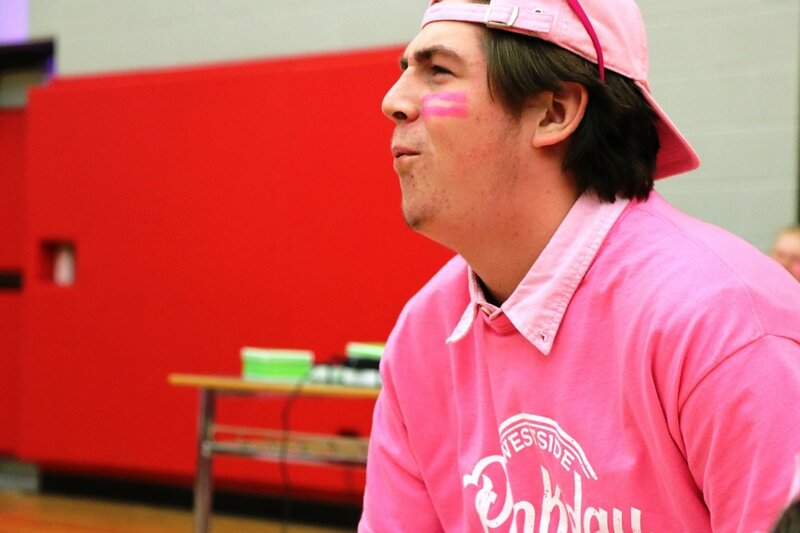 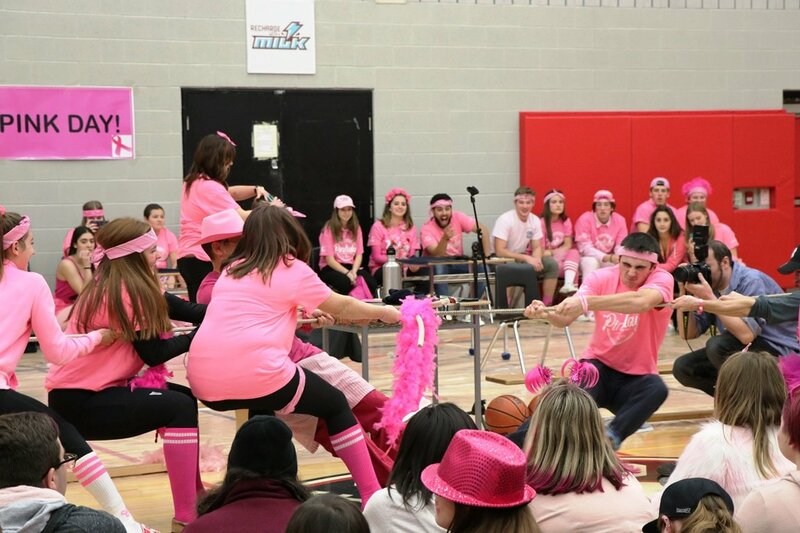 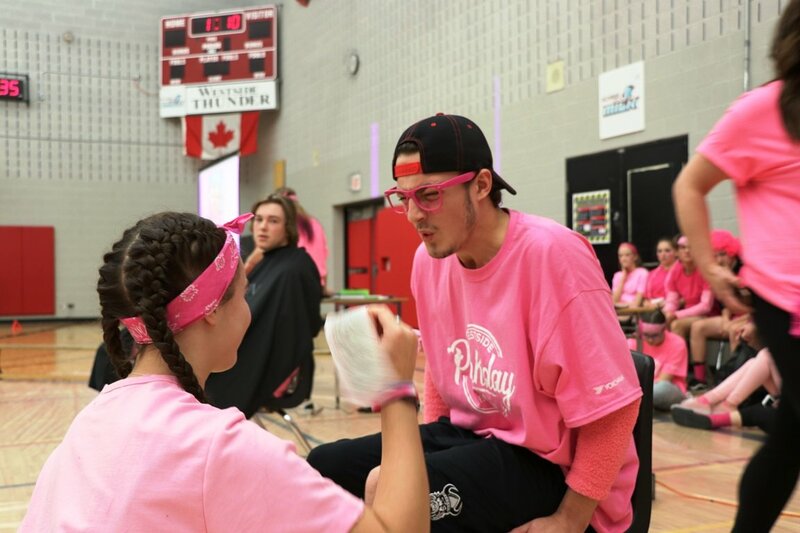 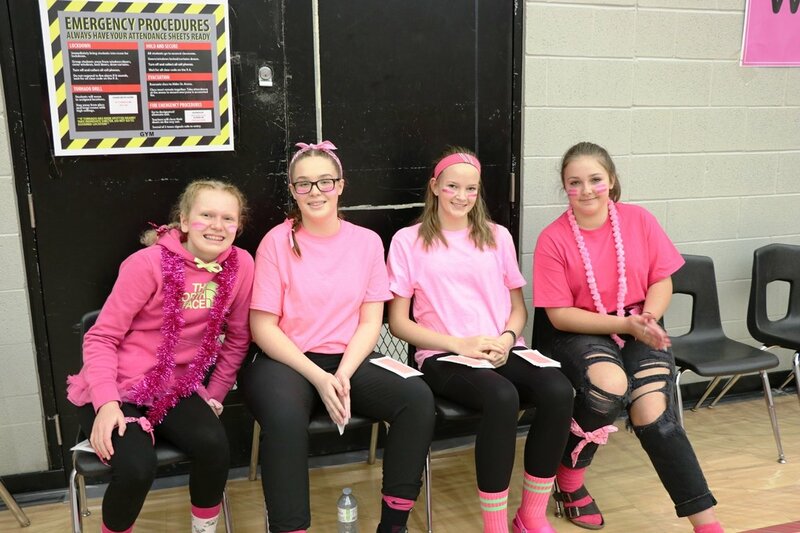 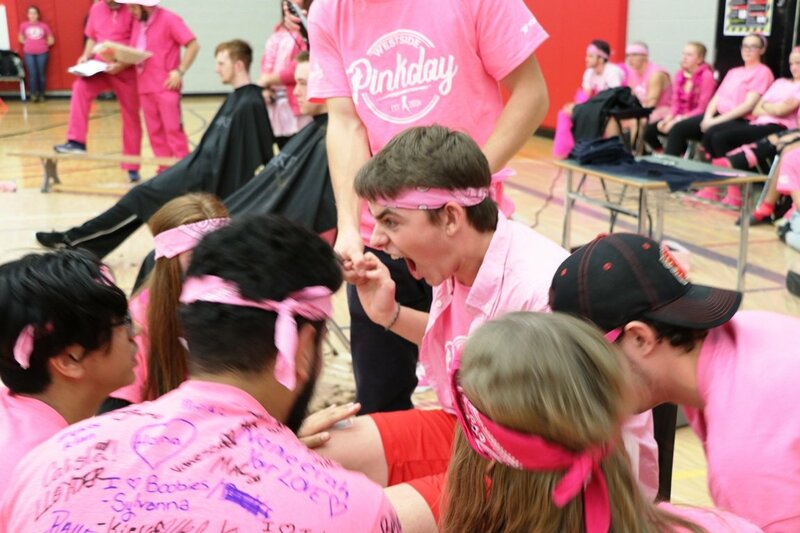 ORANGEVILLE, Ontario – Students and staff came together at Westside Secondary School on November 2 for the 14th annual Pink Day fundraiser at the school. 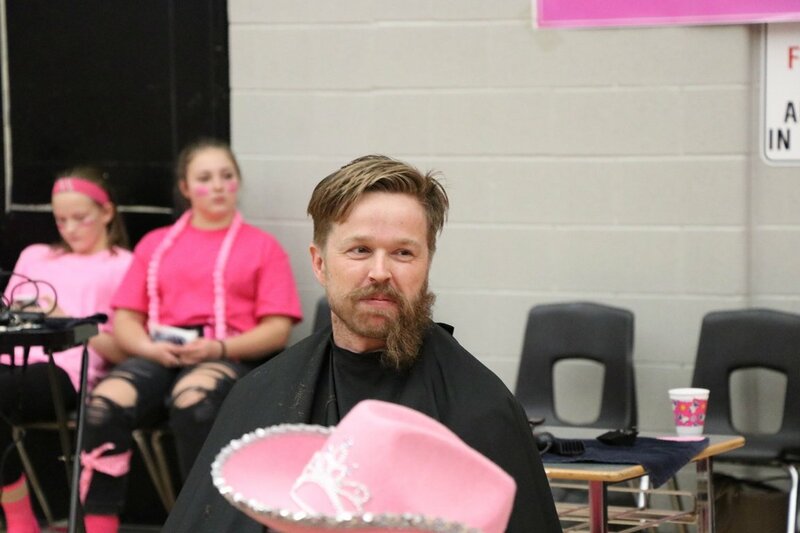 Since 2004, students and staff at Westside SS have raised more than $140,000 through the Pink Day fundraisers for the Breast Cancer Society of Canada (BCSC) and their “Dress for the Cause” fundraising campaign. 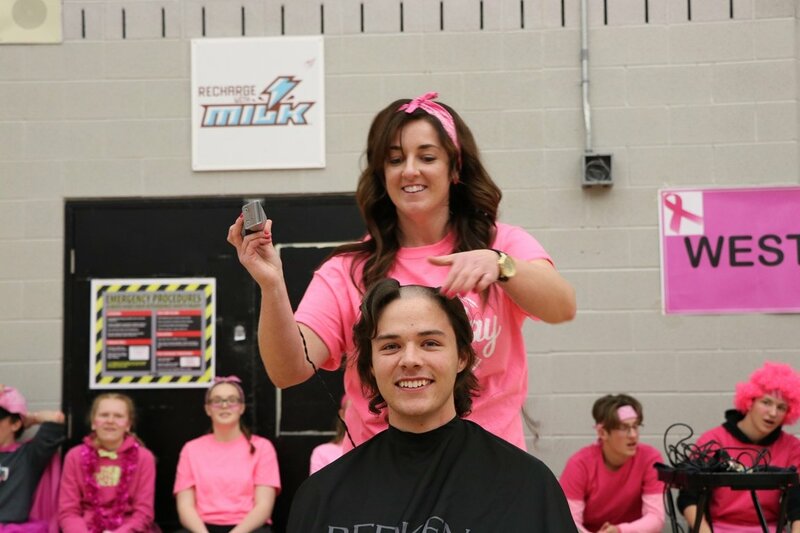 Breast cancer awareness is a very personal issue for many students and staff at the school and the commitment to raising money and awareness for the BCSC really shines through in the Westside SS community. 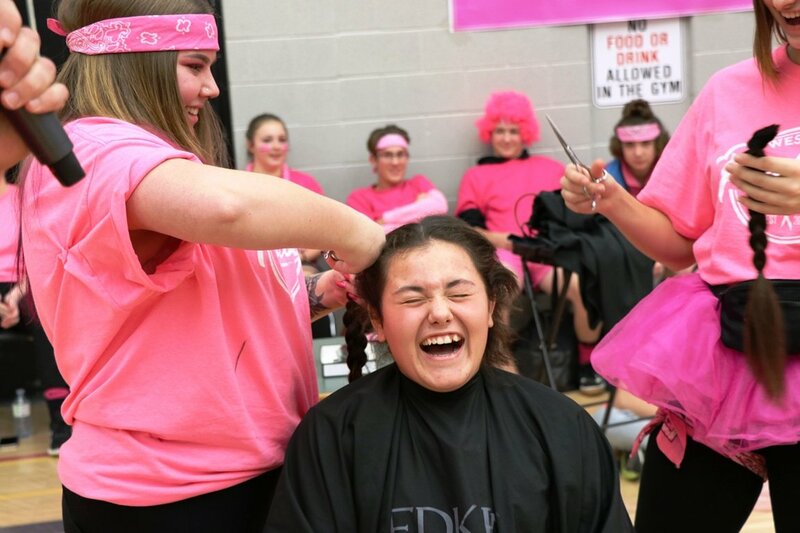 This year during the annual assembly, students and staff shaved their heads, cut their hair to donate for wigs, had their legs waxed in front of the school, participated in tug of war competitions, teacher trivia and dance offs. 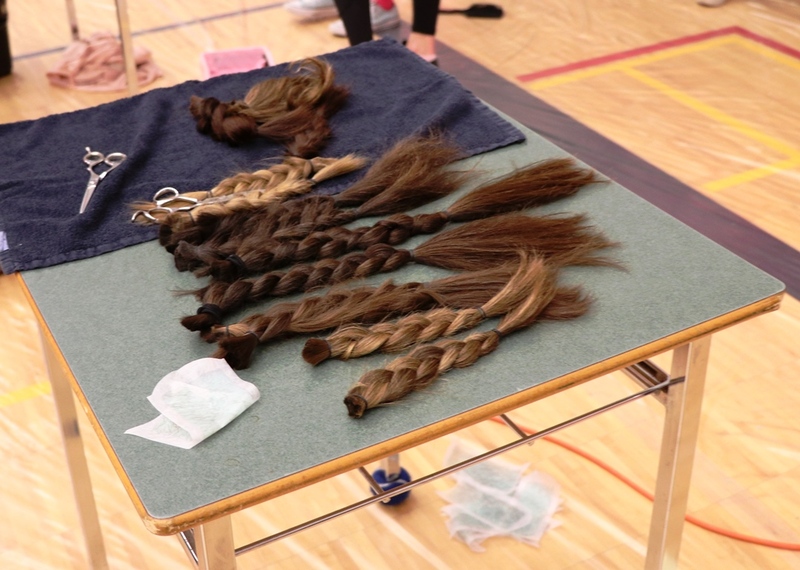 During the assembly, one student challenged her classmates to raise $300 in 20 minutes and if they were successful, she would shave her head at the end of the assembly. 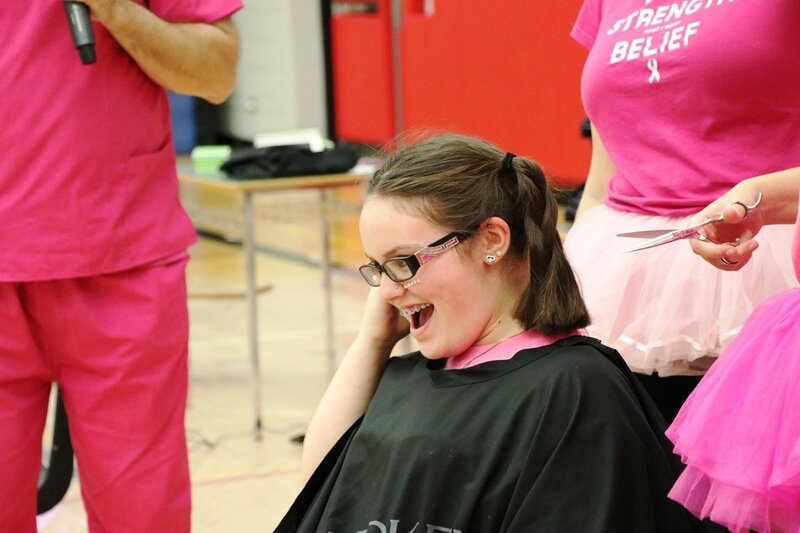 Her classmates stepped forward and raised over $390 in under 20 minutes. 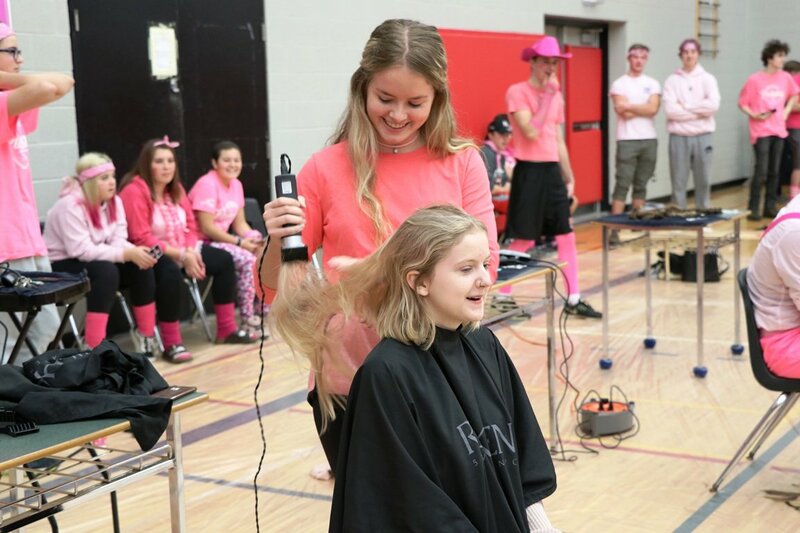 To recognize the efforts of students and staff at Westside SS, the BCSC has made a yearly $5,000 donation to Headwaters Health Care’s Cancer Treatment Centre in Orangeville for the last 3 years. 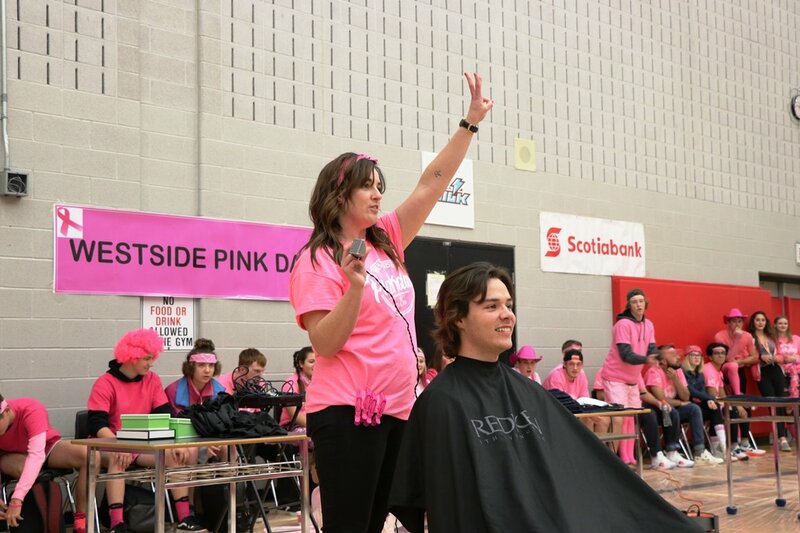 This year, Westside SS raised over $20,000. 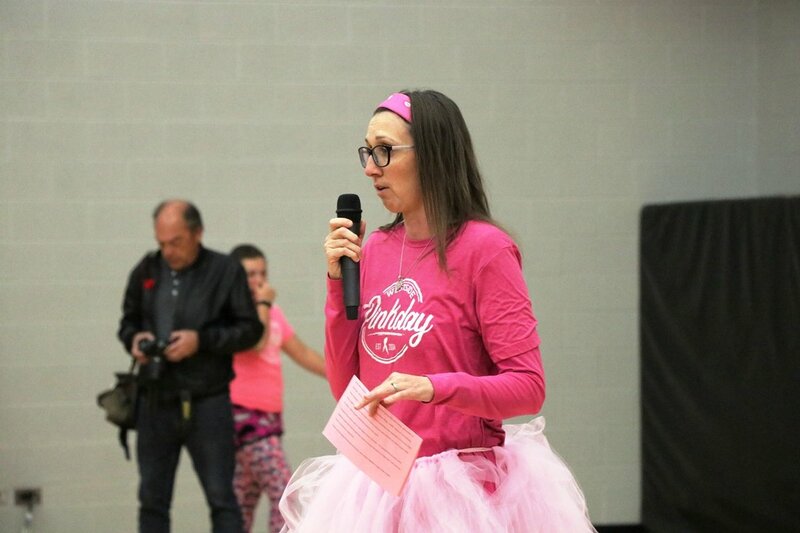 Congratulations Westside SS on another great day of generosity!